The BCSO opens the concert with Alexander Borodin’s “Polovetsian Dances” from his only opera, Prince Igor. Originally composed for chorus and orchestra, this evocative score forms the musical basis for the 1954 Tony Award-winning Broadway musical, Kismet. In the opera, the Polovetsian Dances represent the culmination of a lavish entertainment which the Khan Konchak stages for Igor. Captive maidens, warriors and young boys take part in the various dances, which range in mood from seductive passivity to savage abandon, with all participants singing in praise of the great Khan. The Orchestra’s 65th season concludes with a performance of Peter Tchaikovsky’s grand Symphony No. 5 in E minor. Composed in 1888 and premiered in St. Petersburg, the Fifth is a cyclical symphony, with a recurring main theme employed as a device to unify the four movements. This “Fate” theme takes on a funereal character in the first movement, but gradually transforms into a triumphant march which dominates the final movement. Due to its clear exposition of the concept of “victory through strife”, the Fifth became especially popular during World War II, with one very memorable performance broadcast live to England by the Leningrad Radio Orchestra during the siege of that great Russian city in the autumn of 1941. Violinist Simone Porter has been recognized as an emerging artist of impassioned energy, musical integrity, and vibrant sound. Her performances have been described as “bold” (Seattle Times) and “virtuosic” (London Times). 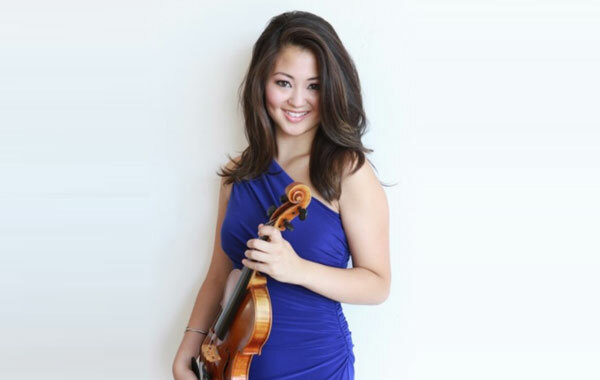 She has appeared with the New York Philharmonic, Philadelphia Orchestra, Houston Symphony, Los Angeles Philharmonic, and Pittsburgh Symphony, after making her professional solo debut at age 10 with the Seattle Symphony. The recipient of numerous honors and awards, Ms. Porter is a 2011 Davidson Fellow Laureate, and was presented as an Emerging Young Artist by the Seattle Chamber Music Society in 2009. Raised in Seattle, Washington, Ms. Porter studied with Margaret Pressley as a recipient of the Dorothy Richard Starling Scholarship, and was then admitted into the studio of the renowned pedagogue Robert Lipsett, with whom she presently studies at the Colburn Conservatory of Music in Los Angeles.